Bellow Fellows bring their uplifting & moving repertoire to the glorious acoustics of the Brunel tunnel shaft at Rotherhithe. It is our pleasure to announce that our gig 'Below Ground' will include the singing of the brilliant Davies & Daughters. This entry was posted in Gigs and tagged Bellow Fellows, Brunel Museum, Davies & Daughters on April 2, 2019 by Sally. From broadside ballads to Billy Bragg. British songs fighting for justice. Arrangements by Sally Davis of Cecil Sharp House Choir. Guest soloist Paul Hutchinson on Accordion. This entry was posted in Gigs on March 24, 2019 by Sally. On March 22, Blacktooth Productions is hosting another evening of words and music. This will be a tribute to Europe, celebrating its diverse and important cultural influences. It will feature philosophy, literature, music, poetry, and artistic milestones , including the riotous, bawdy, and funny. From Dante to Dada, and Sappho to de Beauvoir. The words will be read by Daniel Dresner and Kate Walsh, with music and songs by Bow and Bellows: Sally Davies and Martina Schwarz. This entry was posted in Gigs and tagged Bow & Bellows, Europe, literature, music, philosophy, poetry on March 22, 2019 by Sally. 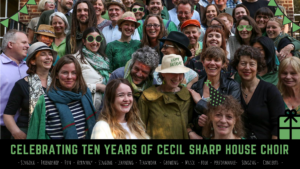 Join Cecil Sharp House Choir in celebrating their 10th anniversary. 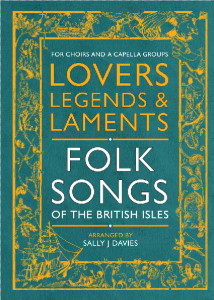 They will present favourite folk songs from their unique repertoire - arranged especially for the Choir over the past decade by talented leader Sally Davies. Expect well-known tunes, bold reinventions, spine-tingling harmonies, far-flung tales, pathos and humour. 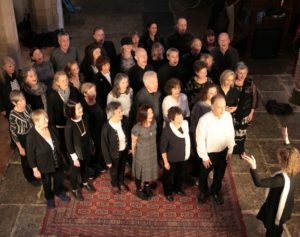 The Choir will be joined by special guests, the glorious folk singer Lisa Knapp and captivating folk jazz fusion duo The Pagoda Project. This entry was posted in Gigs on October 14, 2018 by Sally. This entry was posted in Gigs on July 1, 2018 by Sally.